Club Hotel Riu Tequila Playa del Carmen is an all-inclusive, four stars accommodation. It is 3km from the Playa Del Carmen and about 50 km from Cancun. 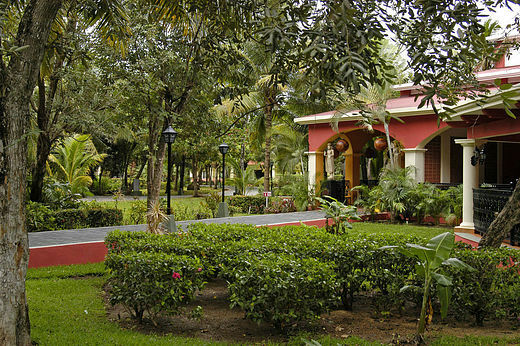 The hotel has a beautiful garden and is surrounded by trees and wildlife. The lodge is perfect for families with children or couples. Hotel Riu Tequila, Mexico is not only close to the beach but it has two swimming pools, a Jacuzzi and a place for kids to play during the day. The Club hotel offers everything you need to have a pleasant and relaxing stay. The resort is in a picturesque natural setting with lush green vegetation. 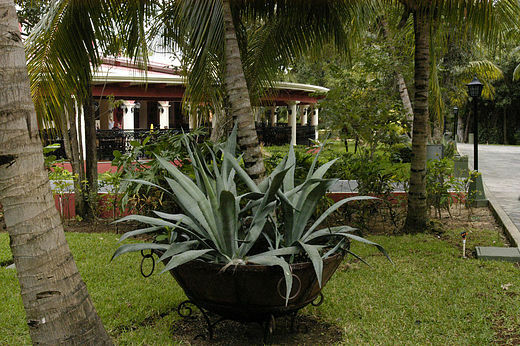 The Hotel Riu Tequila is in the heart of a natural ecosystem with exotic plants and distinct animal life. There tourists can chill out in harmony with nature. 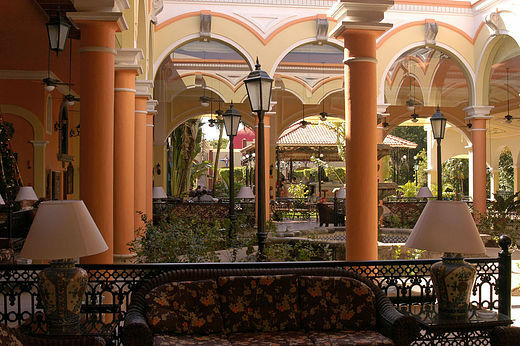 The hotel is located in a complex with 4 hotels of the RIU chain. Compared to the Riu Palace Riviera Maya, Riu Palace Mexico and Riu Yucatán, Club Hotel Tequila is closer to the tropical gardens along the Caribbean Sea coast. Thanks to this fact, hotel`s guests can admire local wild animals roaming freely in the resort premises. 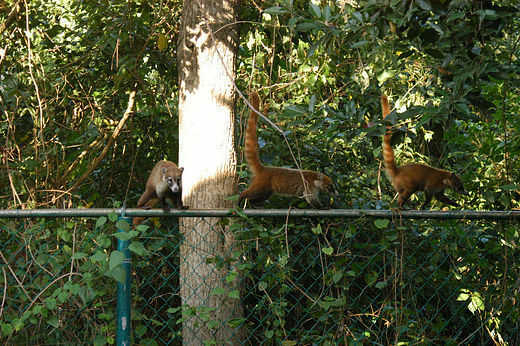 Groups of friendly coatis can be seen near some of the suites. Many people feed these cute animals and take pictures with them. Obviously, the members of the raccoon family are not afraid of tourists and often cross their paths. 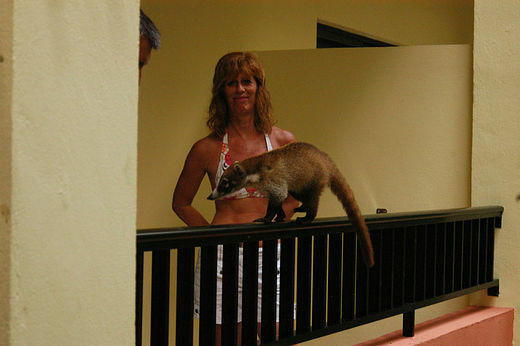 On the beach and in the resort grounds agoutis can be spotted living in harmony with the tourists. These rodents are more active at night so they can be seen early in the morning or when it gets dark. The garden area has become a habitat for iguanas and tropical lizards. It is absolutely safe to approach them and take pictures. 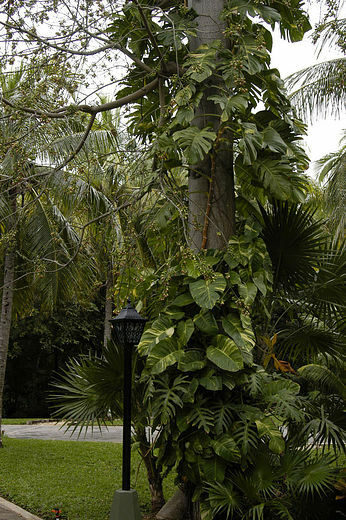 If you look at the exotic palms and trees, you will definitely see different species of birds such as toucans, Ara macaws, green parrots and many more. These spectacularly colored birds populate the little jungle around the hotel. You can do birdwatching while resting in your balcony. On your way to the beach you will pass by monkeys jumping through the trees. 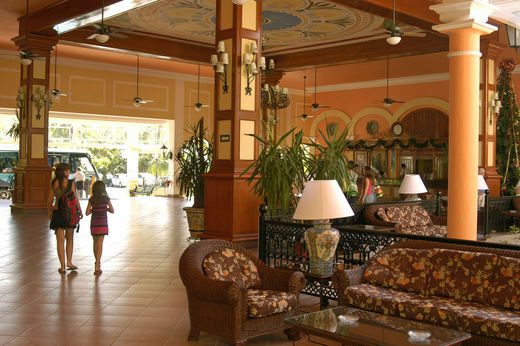 Paths within the RIU complex allow tourists to admire the best of Mexico`s wild life. This pristine atmosphere makes the resort perfect for family vacations. Not only children but also their parents who love animals enjoy Yucatan`s most typical plants and creatures. 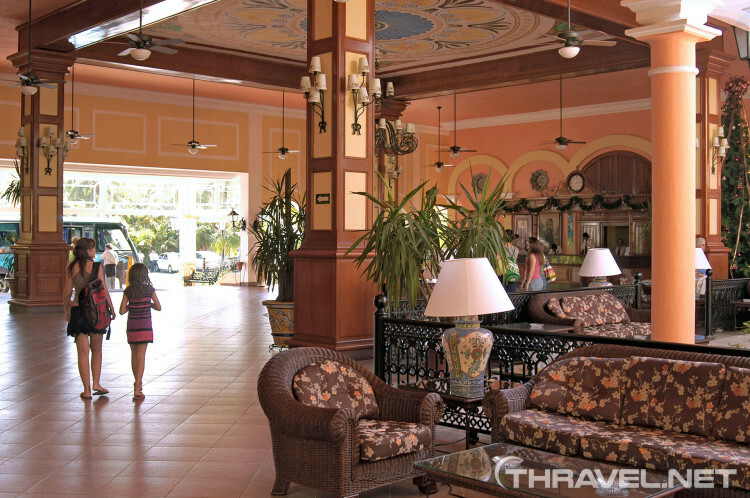 Club hotel Riu Tequila Playa del Carmen is located on the Yucatan Peninsula – the East coast of Mexico. 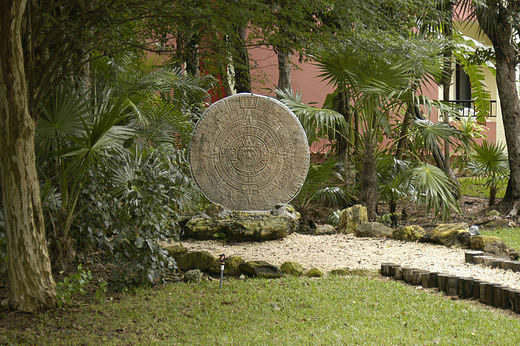 The Caribbean resort Playa Del Carmen is 3km away from the lodge. There is a complimentary shuttle which takes you to the beach which is 800 meters away. You can also walk to the beach – it will take you about 5 minutes to get there. Club hotel Riu Tequila, Playa del Carmen is only 300 meters away from the traditional Mexican Street and Riu Yucatan hotel. There are transfers from, the Cancun airport. It will take about an hour from the airport to the hotel. Most of the all-inclusive vacations include transportation to the hotel. 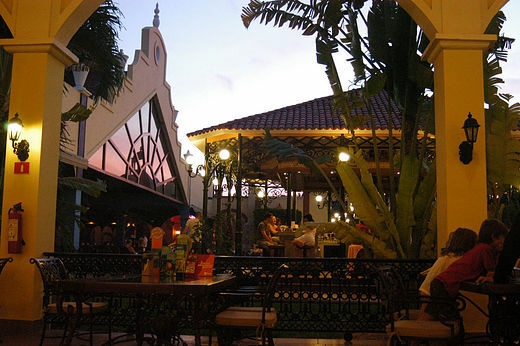 There are good connections to major resorts in Yucatan peninsula. Riu Tequila hotel is 35 miles from the Cancun International Airport, two miles from the Playa del Carmen, and 46 miles from Tulum. There are plenty of things to do in this marvelous hotel. You can relax in its swimming pools and a Jacuzzi. There is also a kids club. Every evening there is a different kind of show (sometimes the children which stayed in the kids club have their own premiere if front of the hotel’s audience). Some Fridays are made into a fair where there are different games that you can win and if you do you get tickets with which you can win prizes at the end of the night. The other things you can do during your stay at Club hotel Riu Tequila are going on an excursion or visiting the Caribbean beach where the water has a magnificent emerald color. There are three restaurants in the hotel – one with mix-styled food, one Italian restaurant and one with sushi. There is also a variety of bars and a discotheque where you can finish the rest of the night.